Andes Plateau: The special conjunction of a warm Mediterranean climate with the geographic characteristics of the country, makes Chile an ideal and special place to develop a environmentally friendly viticulture and get a wide variety of wine styles. 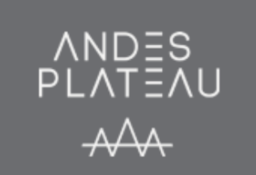 Andes Plateu is inspired by the Andes Mountains. This magnificent mountain range, combines perfectly the altitude, colors, sky and terroir, delivering special and unknown characteristics. In one of his many trips, motivated to produce a exotic, elegant, unique wine, the enologist Felipe Uribe, began this project based at 700 meters above sea level. This is the origin of our first wine called 700, a bright, low alcohol and high acidity wine that is fermented with native yeast.